Contrast provides Exploitability Analysis to tell what was an effective attack and what was just an ineffective probe. Contrast Protect standard attack and event logging provides unprecedented clarity, actionable and timely threat intelligence across the application portfolio. Our Log Enhancer gives you the ability to add custom logging directly through our UI without writing code or restarting the app. In the event of zero-day attacks, Contrast Protect virtual patching capabilities enable a rapid response to all affected applications. Administrators can quickly create and deploy virtual patches within seconds. Contrast can standardize protection to zero days within hours. In addition, Contrast Lab offers instant guidance and quick product updates that can be effortlessly scaled to the entire application portfolio. 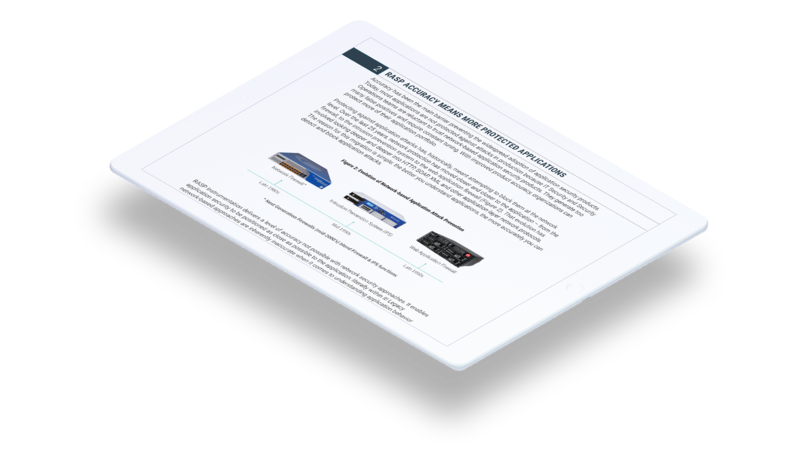 This datasheet further explains Contrast Security's binary instrumentation, Runtime Exploit Prevention, and Contrast Protect's key capabilities because with better visibility and insight, comes better protection. Unlike WAF and IPS solutions, no network configuration is necessary. Contrast Protect (with RASP) doesn’t need to “learn” applications – instead it becomes part of them. And, unlike other RASP solutions, Contrast does not require any changes to applications or the runtime environment. Regardless of whether applications are accessed via browsers, mobile clients, thick clients or desktop applications, Contrast Protect ensures attacks are detected, stopped and logged. Contrast works perfectly with web applications, in containers, frameworks, in the cloud, web services, and APIs. As Contrast Protect becomes part of the application, it scales as your application scales. Every application now protects itself constantly and therefore removes the bottlenecks caused by legacy security appliances. Even under the heaviest attack load, Contrast Protect provides sub-millisecond protection. Because protection is infused directly into the applications themselves, there is no faster way to enforce security policy. You have to introduce security at the beginning (SDLC). It is a waste of money to introduce security as a last minute 'kicking of the tires.' Security has to be from the bottom up." Self-Protecting Applications. Protect your Company. Speed Up Development, Don't Hold it Up. Application security has long been split between development, where testing is crucial, and operations, where protection is paramount. Contrast Protect monitors and protects in real-time from inside the application, so developers get actionable, code-level details about attacks. Application Security at the Speed of DevOps. Contrast Protect operates within the application, moving and scaling with it, always aware of application context to provide accurate attack visiblity. And, it's more accurate than legacy solutions, blocking cyberattacks without accidentally stopping legitimate business. Application Security Visibility, Protection and Automation. Contrast Protect adds missing security controls into applications to monitor and protect applications continuously in production. Contrast integrates into your toolchain, putting security insights into your hands via SIEM integration, chatops and other channels. Assessing applications is complex, but Contrast makes it easy.